Jessica Ou is an undergraduate student at the University of California, Berkeley. She is interested in finance, strategy, technology, international relations, and social entrepreneurship. Passionate about women’s empowerment, Jessica has served as Peer Educator at UC Berkeley’s Gender Equity and Resource Center, Head of Marketing inBerkeley Women in Business, and as a Volunteer Intern at the Women’s Economic Agenda Project. Furthermore, she recently founded an organization called Girls Run Tech, which aims to bridge the gap for women (both technical and non-technical) in the technology industry through community, mentorship, and partnerships with technology companies. Jessica was awarded the 2014 Women of Peace Award, which recognizes individuals that are working on cutting edge programs, or have created new ways of thinking about ending domestic violence or waging peace. Jessica Ou: I am a junior student studying Business, Social Welfare, and Economics at UC Berkeley. My interests lie in finance, strategy, technology, international relations, and social entrepreneurship. At Berkeley, I’ve been involved in many women’s projects as Head of Marketing inBerkeley Women in Business, a Peer Educator for the Gender Equity Resource Center, and a member of the student government Sexual Assault Task Force. Outside of my school involvements, I am an Executive Council member of theInternational Youth Council–founded at the United Nations Youth Assembly–which mobilizes over 5,000 youth from around the world, and an Advisory Board Member forUNICEF’s Chinese Children Initiative. I also serve on the Youth Advisory Council of theCrisis Text Line, a subsidiary of DoSomething.org, the world’s largest youth action organization. Recently, I was chosen to be the National Youth Ambassador for California for Youth Service America, and will work with the California senator’s office to execute a financial literacy program for girls. This past summer, I attended the United Nations Youth Assembly as a delegate, and will be traveling to Moscow in the coming month as a delegate for the Stanford U.S.-Russia Forum. I’m also very passionate about technology, and I currently work at Greylock Partners and am a USA Google Student Ambassador. In the past, I’ve worked at Uber, KPMG, andEuclid Analytics. Recently, I’ve conducted organizational behavioral research for the Haas School of Business and big data crowdfunding research for the MIT Sloan School of Management. I’ve been designing and coding since I was six years old and run my own web design company. In my free time, I blog for the Huffington Post and am a contributing writer for USA Today. Women LEAD: You formerly interned at the Women‘s Economic Agenda Project. Can you tell us more about your experiences? Jessica Ou: Volunteering with the Women’s Economic Agenda Project (WEAP) was one of the most eye-opening experiences for me. As a local non-profit in Oakland, CA, working with a ground-roots organization was a great experience. I had the chance to learn from people have been through great struggles in their lives and overcome them through the teach-ins and workshops that the Women’s Economic Agenda Project holds. I was very close to directly seeing the impact of the organization’s efforts. Working with WEAP set the foundation for my passion in gender equity and human rights, and made me motivated to work even harder to propel change for impoverished women. What was most inspirational for me was the people I met while volunteering there. One staff member, Carolyn Milligan, spent her entire life fighting for a better life for working people after overcoming some severe personal obstacles in the whole process. She moved to Oakland 20 years ago after becoming blind from inadequate medical care, which also forced her into kidney dialysis. It is women like Carolyn that inspire me to work to relieve women out of poverty and structural discrimination. Women LEAD: You were also a Peer Educator at the Gender Equity and Resource Center. Can you tell us more about this role? 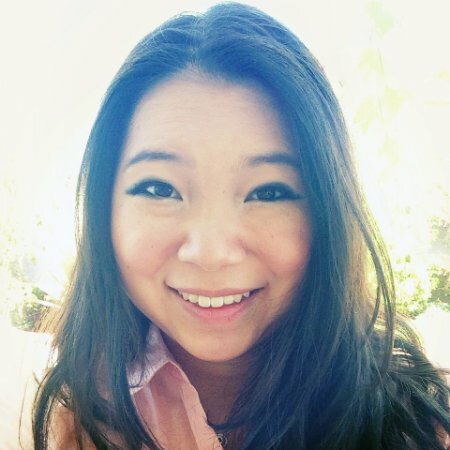 Jessica Ou: I have been involved at the Gender Equity Resource Center at UC Berkeley as a volunteer intern and peer educator. As a peer educator, I raised discussion about inclusivity, diversity, and anti-bullying on campus. My role was to identify a problem in the LGBTQ and Women’s community on campus. I worked with a team of other peer educators in identifying that there was a gap in communication between LGBTQ and women’s organizations on campus, and planned and held a “Mind the Gap: Cross-Cultural Collaboration” event on campus, inviting all LGBTQ and women’s organizations to join in conversation and networking. As a volunteer intern, I dedicated my time in marketing various women’s programs and empowerment events on campus. My focus and goal working with the Gender Equity Resource Center was to create a more inclusive environment for women and LGBTQ students on campus. Women LEAD: You served as the Head of Marketing for UC Berkeley Women in Business. Why is empowering women pursuing business-related paths important to you? Jessica Ou: Women leaders such as Pepsi CEO Indra Nooyi and Yahoo! CEO Marissa Mayer are constantly under microscopic scrutiny purely because of their gender, while other males CEOS are less watched and less criticized. It’s stereotypes about leadership that a woman has to overcome in the work place. I think that there are two important things for women in business–the first is mentorship, and the second is having a community of other female businesswomen as a support system. Women LEAD: Why does empowering women in entrepreneurship matter to you? Jessica Ou: I think the statistics concerning women in entrepreneurship are startling. 92% of startup founders are male, and only 8% are female. This can be attributed to discrimination within the venture capital industry, stemming with lack of representation of successful female entrepreneurs. Investors are looking for the Mark Zuckerbergs of the Silicon Valley—the clear-cut, white males. Female entrepreneurs run into several obstacles relating to their gender, with some investors even looking to date female entrepreneurs rather than taking their company ideas seriously. It’s a perpetual cycle, because the less representation, the less investors take women seriously, and the more women hesitate to become entrepreneurs. I think it’s something that needs to change, and it has to start at the top with the investors. Women LEAD: What, to you, are the biggest challenges to achieving gender equality in technology industries? Jessica Ou: To me, I believe that the biggest challenge is overcoming preconceptions and stereotypes about women in technology. It’s been thought of for centuries that women are not meant to be in technology fields, but rather, men are. We’re still experiencing the ramifications of that type of thinking today, with women representing only one in ten computer science graduates. It’s always intimidating for women to enter into a field that is male-dominated. There is starting to be a slow shift with women’s networking groups and coding programs for girls, but it’s slow. Jessica Ou: One woman that has impacted my life was my Gender and Women Studies professor my freshman year, Professor Barnes. She taught me to look at everything that life throws at you from a critical perspective—to question everything and the situations around us. It made me look at everything differently—and once I started questioning things and understanding inequalities, I was more driven to fix them.